According to the Children’s Commissioner, there are 800,000 children living with mental health disorders – that’s the equivalent of at least three children in every classroom. In Kent alone, there are 18,795 children and young people (between the ages of 10 to 16) who have mild to moderate emotional wellbeing and mental illness that would benefit from additional interventions alongside their parents and carers. Demand for mental health support has reached unprecedented levels, and yet 3 in 4 children with a diagnosable mental health condition still do not receive the support they need. Over the last few years, teachers and families have been struggling, with no clear idea as to how to spot and then tackle mental health problems amongst children. It’s a sad fact that any help is not usually forthcoming until a crisis point is reached, whatever that means! An even sadder fact is that even then, up to a quarter of children referred to CAMHS by concerned parents, teachers and GPs are turned away due to underfunding and/or an overstretched service. In December 2017, the Government published their Green Paper, ‘Transforming Children and Young People’s Mental Health Provision’. The contents of this paper will make your eyes water, with sadness and sheer disbelief in some cases. The Government acknowledge the crucial role schools and teachers play in supporting children’s mental health, and wholly recognise schools can protect and promote a child’s emotional well-being, with lifelong benefits. In an article written by Jon Ashworth, Shadow health secretary and Labour MP for Leicester South, and Angela Rayner, Shadow education secretary and Labour MP for Ashton-under-Lyne, also in early December 2017, it reports that more than 100,000 children have been rejected for mental health treatment by NHS Trusts after being referred in the last two years. That’s the equivalent of 150 rejections A DAY. You may have seen in the press recently that the Duchess of Cambridge has launched ‘Mentally Healthy Schools’ to improve support for children in the UK, which is absolutely fantastic news. The campaign is aimed at children of a primary school age to begin with, where one in 10 children experience a mental health difficulty by age 11. This campaign is the latest initiative from Heads Together – the mental health initiative spearheaded by the Duchess, along with Prince William and Prince Harry. 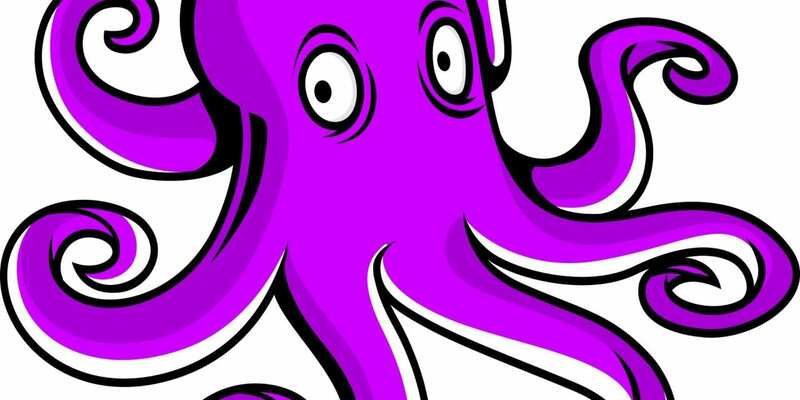 We created the Purple Octopus Project CIC in August 2017, after a lengthy consultation process with numerous children and young adults in Kent from 13 to 25 years old. These included the Princes Trust, a refugee support network, an RAF cadet squadron, a Combined Cadet Force detachment, CXK and groups of students from local schools. All of these children and young people have been instrumental in helping shape and create the Purple Octopus Project, fondly referred to as POP, into something they felt would help support them. During 2017 we became increasingly aware, through our clinical practice and the distinct rise of younger clients, of the need to provide children and young people with an understanding of stress, anxiety and other mental health concerns. Understanding how our brains work, and how this relates to our emotional health is paramount. One of the tools we use is mindfulness. Unless you’ve been living on Mars over the last few years, you’ll no doubt have heard the term ‘mindfulness’, but what does it actually mean, and how can it help our children? There is considerable evidence available which tells us that mindfulness, coupled with education about stress and anxiety reduces symptoms and improves brain and positive emotional function after as little as 8 weeks (Davidson and colleagues (2003)). This particular piece of work also found that mindfulness decreased activity in the brain associated with negative emotion, and increased activity in the parts of the brain associated with positive emotion. In a comprehensive review of 209 studies, Khoury and colleagues (2013) concluded that mindfulness-based practice does reduce anxiety, stress and depression. The same of which can be said of trauma symptomology. Mindfulness induces a more positive state of mind, reduces stress hormones, improves immunity and helps people develop more healthy behaviours in terms of eating, sleeping and substance abuse. When we couple this with a solution-focused approach rather than trawling back through the past, we can achieve positive changes very quickly. When we consider these results in working practice, we see that students become more emotionally stable, can make rational and calm decisions based on intellectual thought, have improved attention and memory, learn to focus, sustain and shift their attention, which has obvious benefits in terms of school work. When we further consider that family issues, peer relationships, learning difficulties (for whatever reason) and mental health problems (whether diagnosed or otherwise) can affect the way students behave in school, POP goes a considerable way to alleviating these issues. Today’s young people have more choice, more information, more ways of communicating with each other than ever before, but this can come at a cost. The world of Facebook, Snapchat and Instagram can have ‘benefits’, but also paves the way for more ways to bully and hurt. In our highly connected world, this means that some children and teens are feeling even more isolated and excluded. With children as young at 5 accessing mobile technology and social media, is it not the time for a change? Feeling nervous or fearful is a normal human emotion. It doesn’t matter whether you’re 5 or 105 – I am certain every one of us could honestly say that they have felt that familiar anxious feeling in the pit of their stomach on the first day of school, just before an exam or job interview. Fear is a perfectly healthy and normal emotion when it is controlled – it is our brain’s fight or flight system reacting to perceived danger. But when do stress, depression and anxiety become a problem? Over recent decades, recorded rates of anxiety in children and young adults have increased. The debate rages on as to whether this is due to greater understanding, and therefore diagnosis, or a response to increased pressure and stress levels. That doesn’t change the outcome or the problem though. As we discussed earlier, even considering the fact of increased diagnosis, it certainly does not mean that those who are in need of support are getting appropriate and effective treatment. 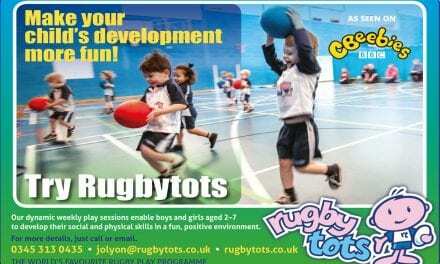 POP intervenes and provides vital training, and more importantly, a toolkit for life. We ‘teach’ our students through the 10 sessions how to recognise stress and its symptoms, to understand the link between their thoughts, feelings and how they actually feel, and to be able to accept their emotions and thoughts non-judgementally. We also help our students to be able to regulate their emotions, and how to interact in a more considered, rational and calm way with others. It is now estimated that between 10 and 20% of children will suffer from an anxiety disorder by the age of 18, with this being the most common mental health issue amongst young people. This is an alarmingly high statistic and yet up to 70% of young people do not receive appropriate interventions at a sufficiently early age. So, despite the Government’s Green Paper and their promise to deliver £300 million towards mental health care for young people, we’re still a very long way off finding a solution for all, with many young people falling through the net. We’re awash with studies telling us about the very clear link between mental health in childhood, continuing right into adulthood. The World Health Organisation (WHO) estimates that 50% of mental health problems are established by age 14 and 75% by age 24. The question on everyone’s lips should, therefore, be “Can we prevent stress, depression and anxiety”? In short, yes. Whilst there is clearly a need for more clinical support and intervention when a child is suffering from an anxiety disorder, is there anything that parents or teachers can do? Can we stop anxiety before it reaches the stage of needing significant professional help? There is an element of misunderstanding about what amount of fear, worrying or nerves are ‘normal’, as opposed to what could be considered as anxiety. For example, it’s perfectly normal for our fight or flight to kick in before an exam or on the first day of school, but when a child is feeling like this every day, we might agree to consider this as anxiety, which could be a sign of a something more concerning, such as bullying. Having the tools and resources available to understand stress, depression and anxiety, and in turn be able to tackle it before it takes over is perhaps one of the most important things we can teach children and young people, to prevent a chronic and lifelong condition. Allow them to feel anxious and normalise their feelings. If we try to tell ourselves, or a child, that they shouldn’t be feeling anxious, or that ”there’s nothing to feel anxious about”, it doesn’t stop the worrying. Rather than trying to block the feeling, we can give reassurance that it’s okay to feel anxious sometimes. Once things are calmer, we can then explain more about where those feelings came from, and include the child in a workable plan on how they can manage this anxiety next time. Make time to talk about it (and listen!). Over and over again we hear that children want someone to simply listen. When a child is feeling fearful, they may react with negative emotion, e.g. by becoming defensive, angry or violent. Making time to listen to how they’re feeling, regardless of how difficult it may be, to begin with, can make such a difference and showing your respect to their issue can go a long way to relieving the burden they may be carrying around. Here at POP, we’ve found that it’s more likely for a child or young person to open up and talk about what they’re feeling when they’re doing something completely different, for example walking, drawing or making something in the kitchen. A different activity re-focuses the brain away from the issue and allows us to think calmly about what caused us the anxiety in the first place, using our intellectual brain. Don’t avoid similar anxiety-inducing situations. Remember, stress and anxiety are perfectly normal reactions to situations, where we need to respond quickly, i.e. for safety. As a parent or teacher, it can be very tempting to avoid a situation where we know anxiety could arise, but avoiding such situations will only give credibility to fear, negating any possibility of learning how to deal with anxiety in a particular situation again. Practice relaxation through trance and mindfulness. When we are stressed or anxious, our body responds with a chemical release from the hypothalamus, causing us to experience a physical reaction. We could feel our heart-rate increase, our breathing becomes shallow and increases, and our muscles become tense, getting our body ready to quite literally fight, or flight. These physical symptoms, in turn, tell our amygdala, responsible for our fight or flight response, to go on high alert, causing us to feel even more anxious. This vicious cycle can lead to difficulty in sleeping and stop us relaxing. Practicing 20 minutes of mindful relaxation every day – including deep breathing, and relaxation exercises can help to quieten a busy mind. Once the body is more relaxed and the heart rate has dropped, we are able to think more clearly and calmly. *Whilst becoming aware of our mental health, and that of our children and young people, we should be aware that the above tips are just that, and are not in any way designed to replace professional advice. Should you have a concern about mental health, please contact your GP or qualified professional for advice. 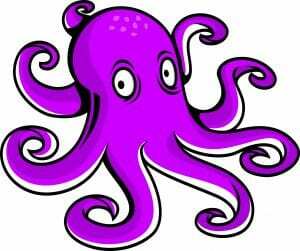 With the increasing need to focus on children and young adults mental health, here at the Purple Octopus Project we believe we have found a solution to encourage engagement with children and young adults who are dealing with anxiety and are working well with them to help relieve this burden. The Purple Octopus Project is committed to providing sessions to children and young people, as well as ongoing advice and support to parents, carers and teachers, to ensure that our young people are given the best opportunity to prevent the onset of mental illness, stress, anxiety and depression, providing a toolkit for life. 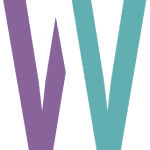 To find out more about working with us, and the services we offer, please contact the Project Founder and Clinical Lead, Lisa Wolfe, via email to info@purpleoctopusproject.co.uk (which is a confidential email address), or telephone on 01303 248997. You can also find out more about us on social media.